The IAF is investigating working with the OECD on the practical implementation of due diligence principles for the apparel industry, leading up to a Conference about the subject in September. Last week, Monday March 31st, the IAF was invited to be present at a Ministerial meeting of the Dutch Trade and Development Minister, Lilianne Ploumen, with her French counterpart, Minister Nicole Bricq. The meeting, held in Paris, produced a common statement by the two Ministers, calling for an international partnership for corporate responsibility. Also present at the meeting was Secretary General Gurria of the OECD. The OECD’s Guidelines for responsible business are central to the international approach envisioned by the Dutch and French Ministers. 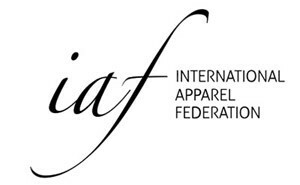 The IAF’s Global Responsibility action plan calls for IAF’s active support in creating a harmonized global framework for dealing with labour conditions and sustainability in the apparel industry. Potentially this framework could be the ‘due diligence’ principle, which features centrally in the UN’s Ruggie Guiding Principles and in the OECD’s guidelines. Due diligence helps companies to delimit the extent of the actions that may reasonably be expected of them.